This paper describes an empirical study examining action research papers submitted by a group (n = 81) of out-of-field mathematics teachers as part of a professional development programme in Ireland. Utilising document analysis, the papers were qualitatively analysed for evidence of teachers’ beliefs and practices with respect to the teaching and learning of mathematics. In particular, demonstration of direct transmission and constructivist beliefs and practices was explored. The authors draw on Valsiner’s zone theory in conceptualising the ‘teacher-as-learner’ in this out-of-field context and it provided a means for analysing teachers’ development in terms of their beliefs and practices. Findings indicate a prevalence of direct transmission or traditional teaching practices prior to the out-of-field teachers’ action research, with some inconsistency with professed constructivist beliefs. There was evidence of a majority shift towards constructivist beliefs and practices post action research for a myriad of reasons, including increased pedagogical confidence in mathematics and the successful experience of constructivist approaches. 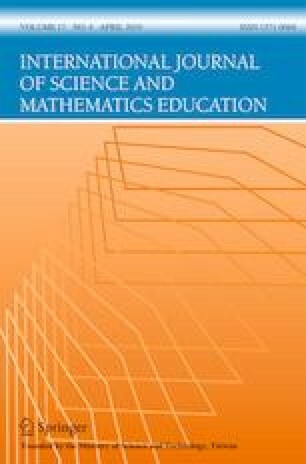 Findings also highlight the role of reflective self-study in facilitating the creation of productive tensions, as well as the importance of the teachers’ interpretation of their zone of free movement in resolving complex issues and enabling out-of-field teachers’ development of constructivist beliefs and practices. Ethical approval was granted for a large-scale research project underpinning the PDMT, of which examining the action research component was part of the overall project. Consent was gained from participants on commencement of their studies. Du Plessis, A. (2014). Out-of-field teaching practices as an unresolved global concern influencing teacher quality and effective classroom pedagogies. In L. Hobbs & G. Törner (Eds), Taking an international perspective on ‘out-of-field’ teaching: Proceedings and agenda for research and action from the 1st Teaching Across Specialisations (TAS) Collective Symposium (pp. 27–29). Porto, Portugal: TAS Collective. Retrieved from https://www.uni-due.de/TAS. Organization for Economic Cooperation and Development [OECD] (2014). PISA 2012 results in focus: What 15-year-olds know and what they can do with what they know. Available at http://www.oecd.org/pisa/keyfindings/pisa-2012-results-overview.pdf. Teaching Council (2011). Initial teacher education: Criteria and guidelines for Programme providers. Available at http://www.teachingcouncil.ie/_fileupload/Teacher%20Education/ITE%20Criteria%20and%20Guidelines%20Final%20July%202011.pdf.